Some of you may recall how a few years back, a group of Detroit citizens began talking about erecting a statue of Robocop in their fair city. At the time, Detroit’s Mayor David Bing shot the idea down, eventually referring to it as “silly”. This led to a campaign that was dedicated to making the statue happen, and after three years, it looks like they are finally going to get their wish. 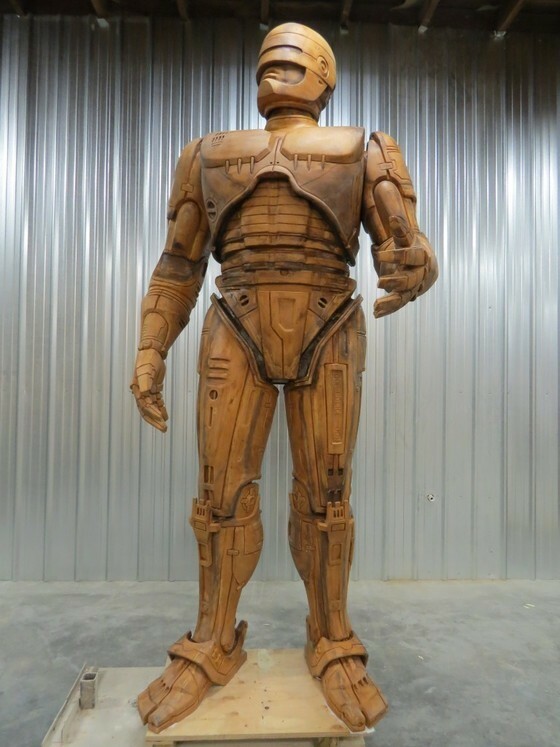 In addition to a promotional video starring Peter Weller (Robocop himself), a Kickstarter campaign was mounted to fund the statue’s creation. The campaign was launched back in 2011 by the group known as Imagination Station, a Detroit nonprofit specializing in art and renovation. Within 45 days, they had raised over $67,000, thanks to public donations but also from an unexpected source. As the story goes, Brandon Walley – director of development at the Imagination Station – received a call from Pete Hottelet, the founder of Omni Consumer Products (OCP). As anyone who’s seen Robocop knows, this is the name of the evil megacorporation at the center of the RoboCop universe. But in this case, OCP specializes in selling real-world versions of products seen in popular movies and TV shows. Apparently, Hottelet had contacted Mayor Bing’s office and was told outright that the city was not involved in any such project. He then called Walley, got the low-down on their intentions to go ahead with creating one anyway, and agreed to match the money they raised. After six days and $25,000 raised, Hottelet cut them a cheque for the same amount. Thirty nine-days later, they had the remaining ten grand they needed, and then some. And as I recently learned, back in May production began on the statue right here in British Columbia by Across the Board Creations, a studio that specialized in 3D models, props, and artistic recreations. This past Wednesday, the finished product arrived in a crate at the Imagination Station, and photos have began to circulate of the finished product. The Imagination Station in Detroit has offered a place on its property at Roosevelt Park to install the 10-foot-tall statue, which has now been cast and is headed to Venus Bronze Works in Detroit to be bronzed. And as you can see from the photo (see below), it is rather large, detailed, and pretty badass! 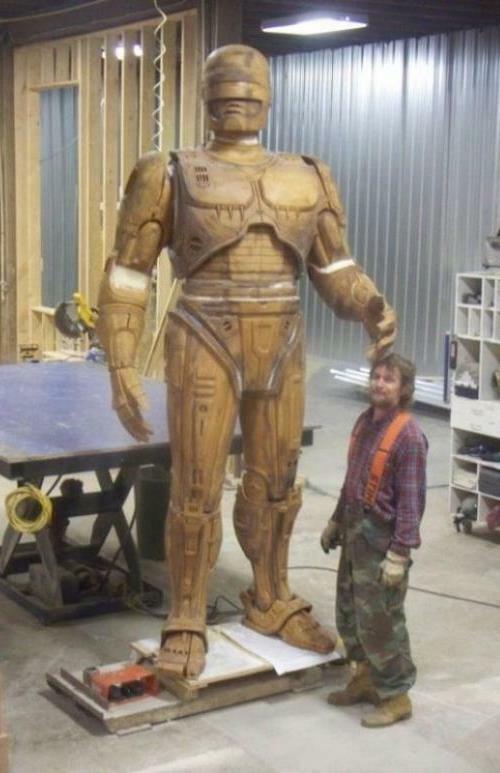 Plans have already been made to erect the statue in 2014, just in time for the Robocop movie relaunch. You may also notice I’ve peppered concept art for the movie throughout. 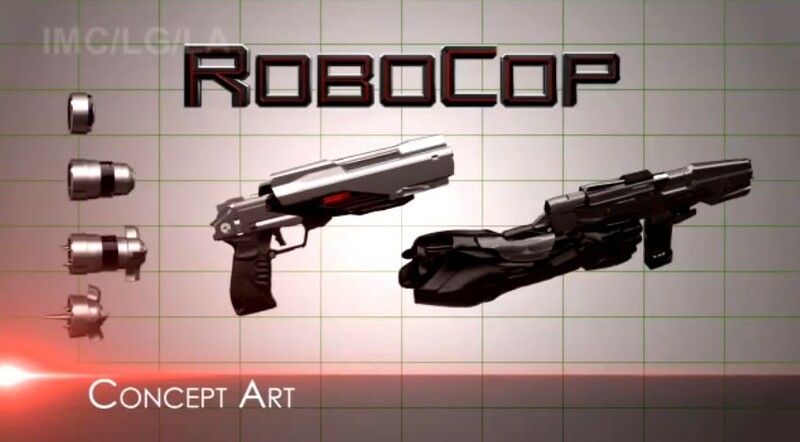 These include Robocop’s new sidearm, OCP’s ED-209 Assault Walker, and the XT-908 Area Drone. 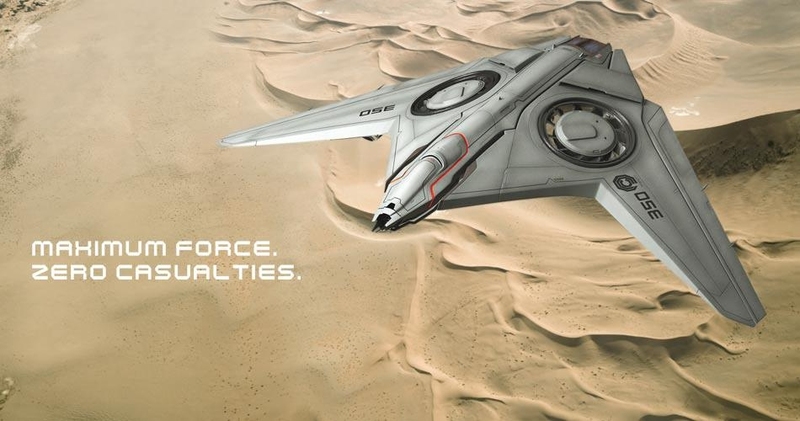 Clearly, they are looking to merge elements of the original with a more model feel, going beyond mere cyborgs, walkers and corporate greed to include unmanned aerial surveillance and the motif of a police state. And be sure to check out Peter Weller’s hilarious promotional video for the statue, plus the trailer for the Robocop relaunch. Enjoy! Yes, I remember those Robocop movies. Nice statue. Too bad it can’t police Detroit’s streets! The mayor’s office got a suggestion for that too, after they got the original statue proposal. Bing shot that one down too. He is a close-minded man! Actually, I think it’s pretty practical, considering the crime rates and bankruptcy of Detroit. Absolutely! 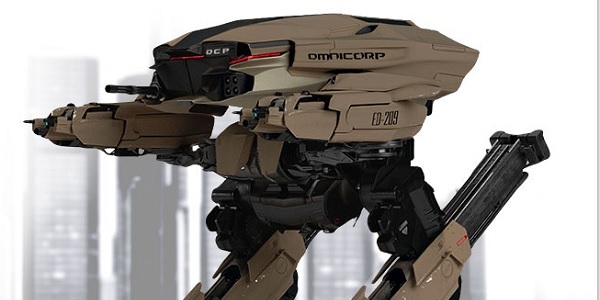 If ever the city needed an armored cyborg law enforcement tool, it would be now. As soon as the technology and the funding is available…about twenty years from now, at the earliest guess. Hopefully he’ll help bring some more money to the bankrupted city!